Pope Francis appointed Most Rev. Salvatore R. Matano as the Ninth Bishop of Rochester, and was installed January 3, 2014. Bishop Matano was born in Providence, Rhode Island on September 15th, 1946; the son of Salvatore and Mary Santaniello Matano. He attended St. Ann Elementary School and LaSalle Academy in Providence before enrolling in Our Lady of Providence Seminary College in Warwick, where he earned a Bachelor's Degree in Philosophy. He was ordained to the priesthood on December 17th, 1971 by James Cardinal Hickey in St. Peter's Basilica in Rome. He attended the Pontifical Gregorian University in Rome, where he was awarded a Licentiate Degree in Sacred Theology in 1972, and later received a Doctorate in Canon Law in 1983 from that same university. 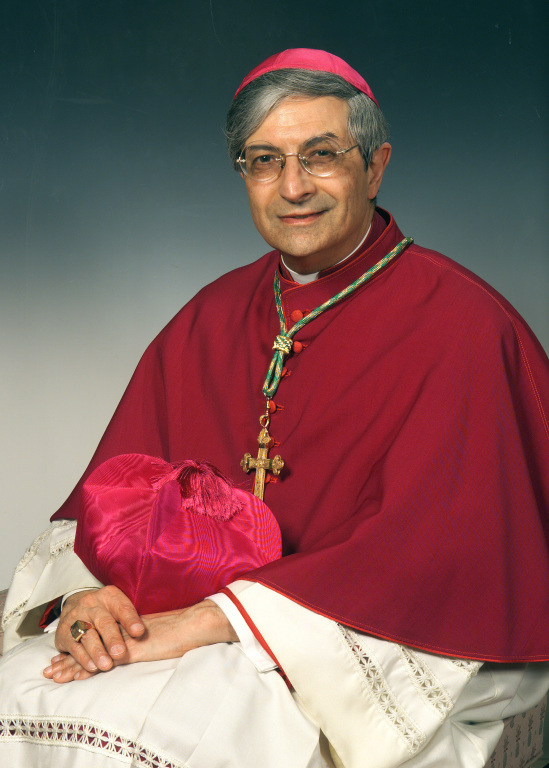 Bishop Matano served as Assistant Pastor at Our Lady of Grace Parish in Johnston, Rhode Island from 1972-1973. He was also a faculty member of Our Lady of Providence Seminary High School in Providence from 1972-1977. In 1977 he was named Diocesan Director of Priests' Personnel, while residing at Our Lady of Providence Seminary in Warwick. In 1980 he also served as Assistant Chancellor for the Diocese of Providence. Between 1980 and 1983, Bishop Matano pursued graduate studies in Rome, after which he returned to the Diocese of Providence where he served as Vicar for Administration and Co-Chancellor until 1991. During this time he resided at St. Augustine Parish in Providence. After a year's service at the Apostolic Nunciature in Washington, D.C. where he served as Secretary to the Apostolic Nuncio (1991-1992), Bishop Matano returned to the Roman Catholic Diocese of Providence. He was named Vicar General and Moderator of the Curia and served at that post until 1997, when he was appointed pastor of St. Sebastian Parish in Providence until 2000. The Bishop also enjoyed five years as a Special Lecturer in the Undergraduate and Graduate Departments of Theology at Providence College of the Dominican Fathers, between 1995 and 2000. In January of 2000, Bishop Matano returned to the Apostolic Nunciature in Washington, D.C. where he served as Secretary to the Apostolic Nuncio until his Ordination as Coadjutor Bishop of Burlington on April 19th, 2005. Bishop Matano was named Prelate of Honor by His Holiness, Pope John Paul II in 1985; and received recognition from the Holy Father again in 1993 when he was named Prothonotary Apostolic. At the time of his appointed Matano was Bishop of Burlington, VT.
Pope John Paul II ordained Most Rev. Matthew H. Clark a bishop on May 27, 1979, at St. Peter’s Basilica, Rome. 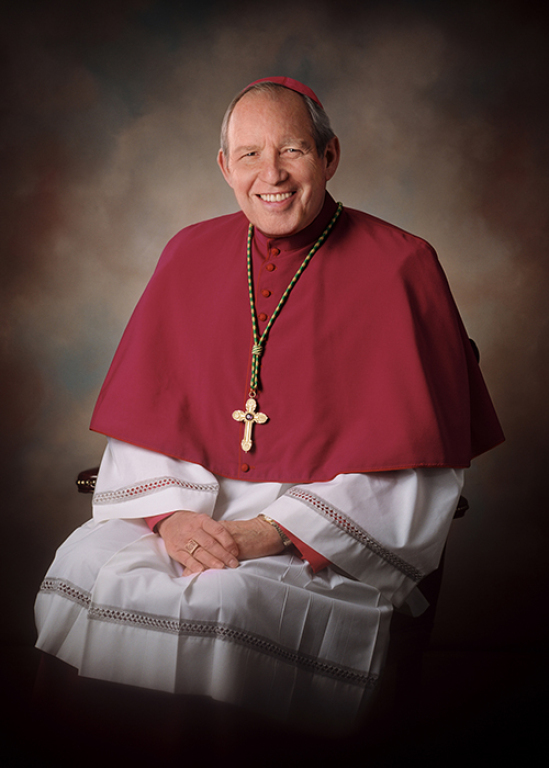 He was installed as the eighth Bishop of Rochester on June 26, 1979, succeeding the late Bishop Joseph Hogan. Bishop Clark was born July 15, 1937, in Waterford, New York, near Albany, to parents M. Harvey and Grace (Bills) Clark, both deceased. He received his early education at Public School One, Waterford, New York, and attended Catholic Central High School in Troy, New York, before going on to attend Holy Cross College in Worcester, Mass. and later Mater Christi Seminary, Albany, the former St. Bernard’s Seminary in Rochester and the North American College in Rome. Bishop Clark was ordained a priest for the Albany diocese on December 19, 1962. He served in various positions in the Albany diocese, including Vice Chancellor. He also served as Assistant Spiritual Director (1972-1974) and Spiritual Director (1974-1979) at the North American College in Rome. Bishop Clark holds Licentiates in Theology and in Canon Law from the Gregorian University in Rome. Bishop Clark writes about the Diocese of Rochester and Church-related matters in his popular Along the Way column for the Catholic Courier newspaper. In November 2009, his book, Forward in Hope: Saying Amen to Lay Ecclesial Ministry was published by Ave Maria Press. Long active in many committees and boards locally and national throughout his 30-year episcopate, he currently serves as the United States Conference of Catholic Bishops’ liaison to the National Association of Catholic Chaplains. In November 2010, he received the Exemplary Bishop of the Year Award from the national Catholic Campus Ministry Association. In April 2011, he received the Lumen Gentium Award from the national Conference for Pastoral Planning and Council Development in recognition of distinguished pastoral leadership in the parish planning process. As Bishop, he was spiritual leader for more than 300,000 Catholics in a Diocese that spans 12 counties (Monroe, Wayne, Ontario, Cayuga, Livingston, Steuben, Tioga, Chemung, Schuyler, Seneca, Tompkins and Yates), has 130 parishes, 24 Catholic Schools and a wide network of Catholic Charities agencies, along with more than 260 active and retired diocesan, order and international priests and over 100 deacons. In September 2012, Pope Benedict XVI accepted the resignation of Bishop Clark in accordance with Canon Law.